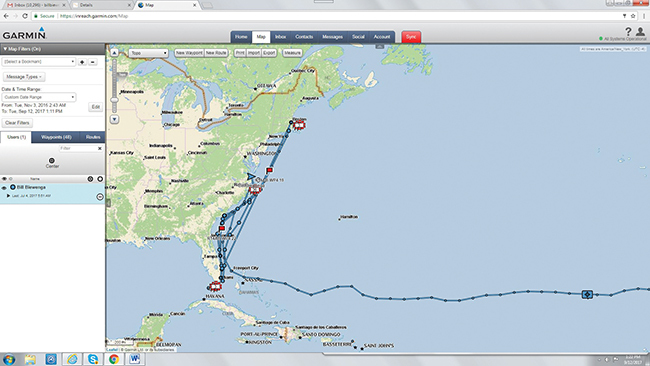 As summer draws to an end, many of us are beginning to make our winter sailing and cruising plans. We know we want to escape the winter, wherever we live, and heading off on a charter in some exotic and warm area certainly is appealing. Or, we may want to take a winter break to spend a week or more building sailing and cruising skills or learning how to sail and handle a big cruising catamaran. Or, we might even be game for setting off on an oceanic expedition to learn passagemaking and blue water cruising skills from seasoned pros. There’s a lot on offer for sailing in the fall, winter and spring seasons, so you just have to wrap your mind around what appeals to you and your family and then book your trip. Remember, the earlier you book, the more choices you have. And, if you book during a boat show, you are bound to get the best “boat show” rates. In fall and spring, there are great charter opportunities around the watery coastlines of America that will allow you to stay in your home country and keep travel costs under control. The Chesapeake Bay has several charter companies that can get you out for a week or 10 days so you can explore the country’s largest and most diverse estuary. 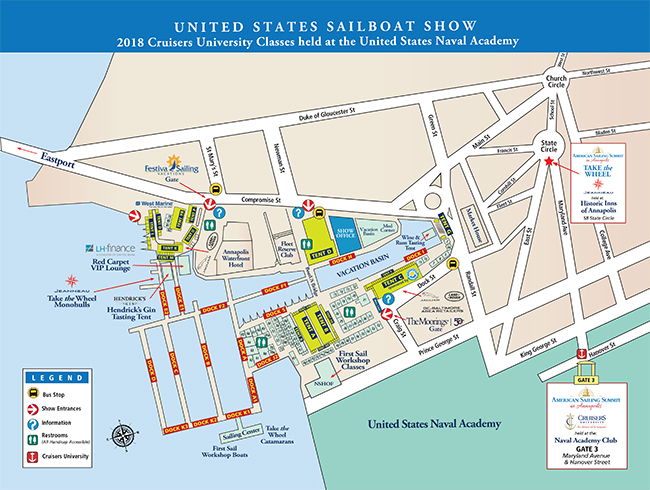 From Annapolis, MD, where most of the charter bases are located, you can sail north to Baltimore for an urban experience or head south to St. Michaels, Oxford and Solomon’s Island for a taste of the old waterman’s Chesapeake. Washington, DC is also a favorite stopover for those who want to explore our capital. The Pacific Northwest in fall and spring offers a wide range of charter options from bases in Tacoma, Seattle, Bellingham and beyond. The beautiful San Juan Islands are a favorite charter area where you will find plenty of moorings available and wonderful nature walks ashore. You will see eagles and osprey, and you might get a glimpse of a bear or two. You can sail across the border into Canada, too, if you feel like a wilder experience and the fun of going foreign. 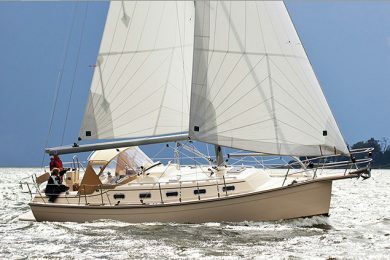 California has several options for chartering. In the fall and spring, San Francisco Bay can offer brisk sailing and cool nights, but the breeze will be steady and you don’t have to contend with the fog that makes summer cruising in the Bay problematical. Fall is a great time to cruise inland to wine country and you can get right up stream to Napa for the fall harvest season. Southern California has good sailing conditions all year round so you can get out to Catalina or cruise from harbor to harbor along the coastline in any season. For a long weekend or a week-long cruise, Catalina is a good option with several good harbors to visit and the fun of a visit to Avalon Harbor. 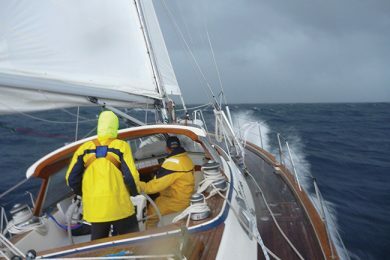 The Channel Islands off Santa Barbara are a more challenging destination since both the weather and the prevailing currents – and cold water temperatures – can change quickly and storms are frequent. 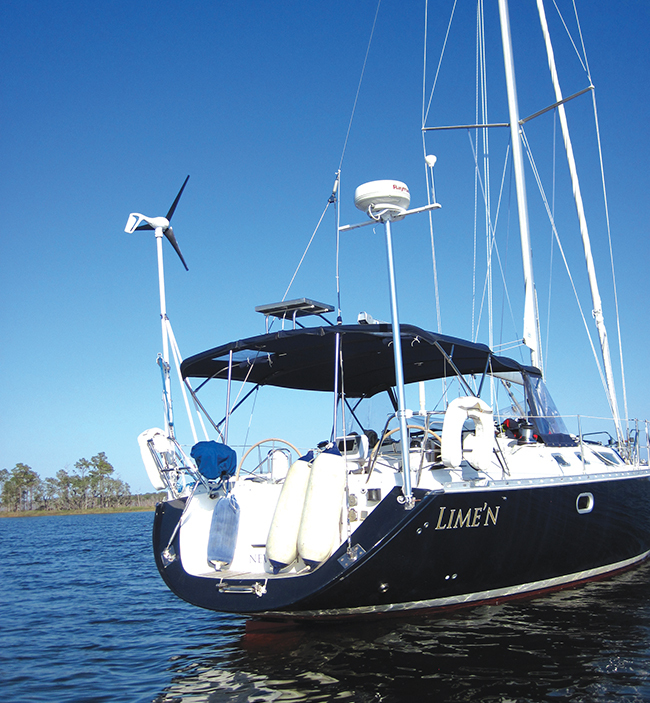 A crewed charter may well be the best option for most folks who want to charter in the area. 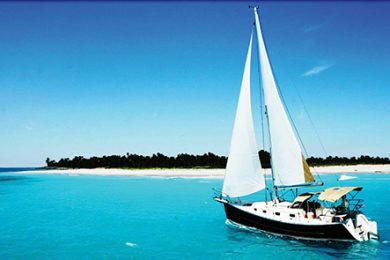 The island nation of the Bahamas lies just across the Gulf Stream from Florida but even though it is only 60 miles away, it offers charterers a whole new world of cruising to discover. Bahamians are laid back, friendly and always welcoming to sailors so everywhere you go you will be welcomed with open arms. 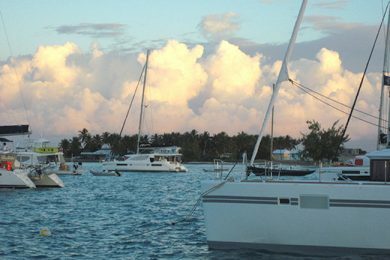 The northern Abaco islands have long been home to charter companies that mainly operate out of Marsh Harbour where you can fly direct from the U.S. The cruising area is varied but destinations are all close by so you don’t have to make long daily runs between anchorages. Plus, there are stopovers like Hope Town that will be fun for a couple of days. 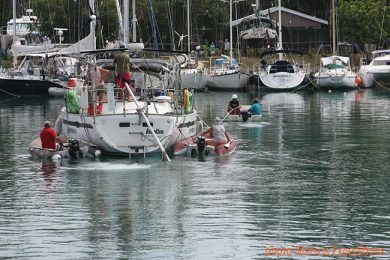 The sailing in the Abacos can get boisterous in the winter months when northerly fronts, known as “rages”, descend upon the islands from the continental U.S. You can get pinned down for a couple of days when such a system blows through making sailing and anchoring in exposed harbors unpleasant. But, if you are chartering in winter, you will always have safe havens in Marsh Harbour and Hope Town where there is plenty to keep you and your crew occupied. 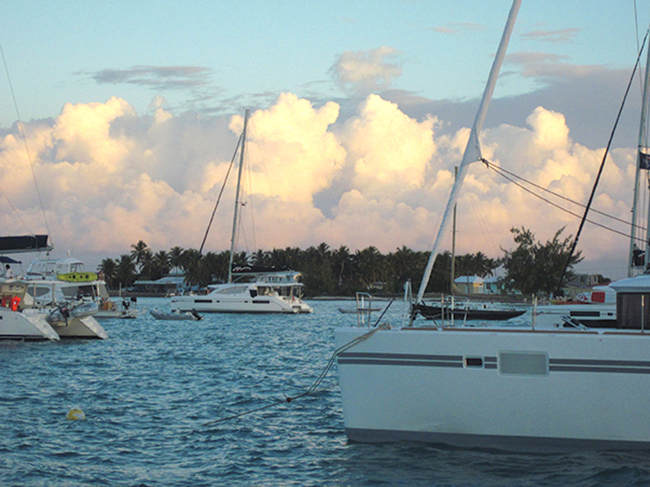 Fall, spring and summer are great seasons for exploring the Abacos. The winds tend to be moderate easterlies and both air and sea temperatures rise to comfortable levels. The diving in the islands is always fun and there are abundant reefs to explore and a wide variety of fish to watch flitting among the corals. South of Nassau lies the Exuma chain of islands that many veteran cruisers consider one of the finest cruising grounds, and least spoiled, in the world. The hundreds of islands that run from Allens Cay in the north to Stocking Island and George Town in the south offer many interesting and attractive anchorages that often you will share with only one or two other boats. The Land and Sea Park based on Warderick Wells is a group of islands in the north-central part of the Exumas that has been set aside as a nature preserve. To protect corals and underwater flora, moorings have been placed in several safe harbors that are close to the best snorkeling and hiking areas. You could spend a month exploring the park without spending more than a couple of days in one place. 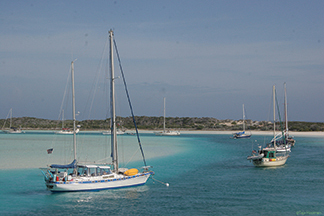 For charterers sailing from the bases in Nassau, a weekly itinerary could take you to the park and then on to Staniel Cay and the famous Pigs Bay nearby where wild pigs greet you on the beach. If you charter for 10 days or two weeks, you could get all the way south to George Town to be part of the huge cruising community that gathers there every winter. It is just a year since the British Virgin Islands, the USVI, Puerto Rico, St. Martin, Anguilla and Barbuda were devastated by hurricanes. While a lot of rebuilding has been taking place, these islands are still in recovery mode, some more so than others. The BVI has made a remarkable comeback after nearly total destruction from the hurricanes. The charter companies that are based in the BVI have made heroic efforts to rebuild their fleets and land-based infrastructure so in 2018 and 2019 you will be able to enjoy sailing and chartering there as much as ever. Ashore in the BVI, there is still work to be done but the favorite attractions are coming back or are already up and running. Willy Ts is open again and has moved to Peter Island from the Bite at Normans. Foxy’s and the Soggy Dollar are open on Jost Van Dyke serving rum drinks as they always have and fine meals are rolling from the kitchens. North Sound at Virgin Gorda is coming back more slowly. Leverick Bay is open but there is still a lot of rebuilding to be done. 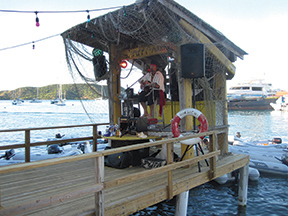 Michael Beans is still singing pirate chanties a couple of times a week, the ice is still cold, the rum is still rum; plus, the weather is still perfect for chartering. The Bitter End, which was totally flattened, will be rebuilt and the owners are looking at Christmas 2019 as a likely date for opening again. 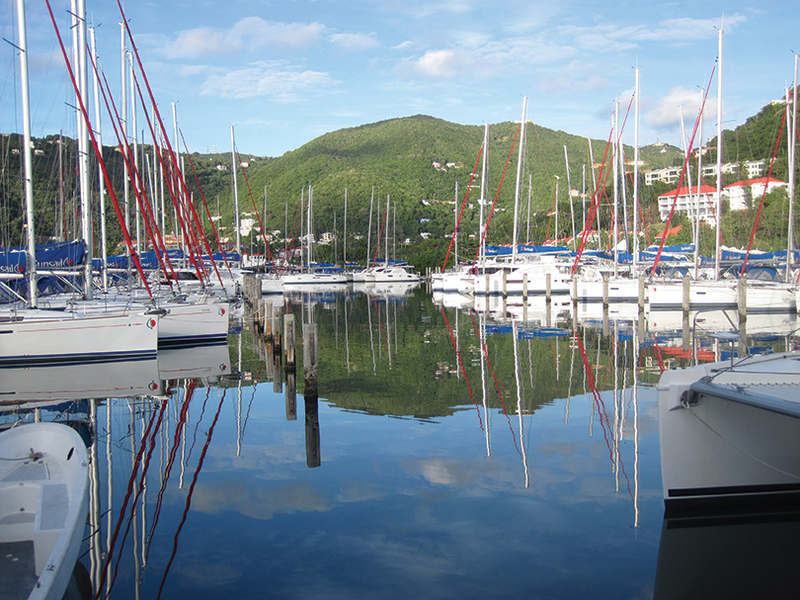 The charter companies in the USVI are also open for business and ready to send you out on a fun sailing vacation. While the infrastructure in St. Thomas and St. John is getting rebuilt, progress is slow. You’ll find beach bars open and music still booming over the beaches. While the BVI is the charter capital of the Caribbean, there are great charter destinations all through the West Indies from Puerto Rico to Grenada. 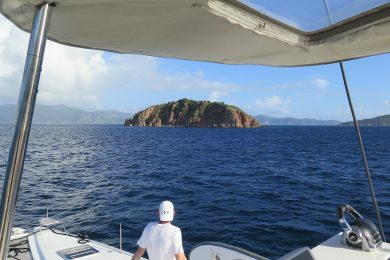 If you have sailed the BVI and USVI and want a different experience, then chartering down island has a lot of options. St. Martin, St. Barths and Anguilla are putting themselves back together and opening for business following the devastation of last year’s hurricanes. For a week of sailing, snorkeling, dining ashore and mingling with the jet set, these three islands have a lot to offer. Like the BVI, the recovery in these islands is in progress but they are not back to 100-percent and won’t be for a while. St. Barts was the least damaged and is still a favored destination. Antigua was spared by last year’s hurricanes so it is still the sailing capital of the Eastern Caribbean and a great place to charter a sailboat. With charter bases in Jolly Harbour and English Harbour, you can choose to spend a week exploring the many anchorages around Antigua, or you can sail north to Barbuda, which was very heavily damaged by the hurricanes. Barbuda still has some of the best beaches in the Caribbean and great snorkeling and diving. Ashore, the island was destroyed but the Antigua and Barbuda government in partnership with actor Robert De Nero and his friends have committed to rebuild the island’s infrastructure and resorts. North Americans don’t tend to charter in the French islands of Guadeloupe and Martinique, but these islands are among the best in the whole Caribbean. As departments (states) of France, they have very modern facilities, great food and wine, excellent pastry shops and plenty of wonderful places to explore by boat. From Guadeloupe, you can explore Montserrat and St. Kitts to the north or Dominica to the south. Or, you can just explore the Isles des Saints right nearby. From Martinique, you can head north to Dominica or south to St. Lucia. The islands are tall and lush and have great hiking trails that lead to mountain tops and to waterfalls where the swimming is perfect. For a more sophisticated charter vacation, try the French islands. You won’t be disappointed. St. Vincent and the Grenadines and the island nation of Grenada form the southern end of the Eastern Caribbean island chain and offer some of the world’s finest cruising and chartering grounds. 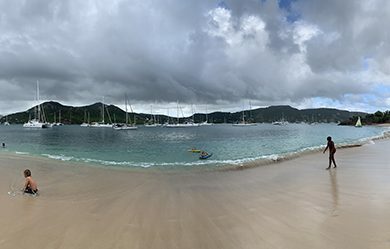 From the charter bases at The Blue Lagoon in St. Vincent, you can head south to Bequia, Mustique and Canouan to enjoy safe harbors, amazing reefs and laid back Caribbean beach bars. From Grenada you can head around the island coast, which is fun to explore, and then sail north by Kick ‘m Jenny to Carriacou and the southern islands of the Grenadines. Grenada is still one of the most pleasant and safest islands in the Caribbean, while St. Vincent has developed a reputation for thievery and muggings. The Grenadines themselves are totally safe and offer a unique “old Caribbean” ambience. The hurricane season in the South Pacific runs from November through May but most tropical storm activity takes place in the far western side of the giant ocean, so French Polynesia and Tonga – two favorite charter areas – are open for business all year round. In our winter months – the southern summer – the weather can be muggy and it will rain more often but for the most part the weather with be tropical, sunny and perfect. The charter bases in French Polynesia are on the island of Raiatea in the Iles sous les Vents, a hundred miles west of Tahiti. 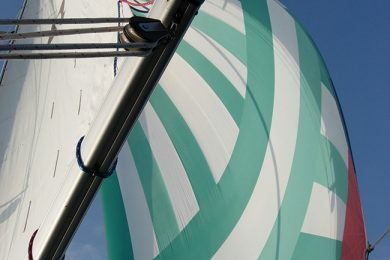 Since it is a long way to fly from the U.S., many charterers will choose to spend a day or two on Tahiti before flying out the Raiatea to pick uptheir boats. 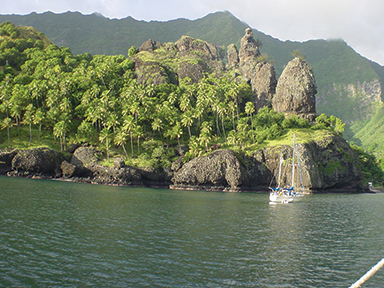 There are a lot of things to do in Tahiti so time spent there will be fun for all.Once on a charter boat, the usual cruising routes will take you to anchorages around Raiatea and Tahaa, which share a giant lagoon. Then you can head to Huahine for a day or two before making the passage to Bora Bora. Huahine is a laid back, natural Polynesian island without a lot of tourism. It’s a great place to meet locals and enjoy their hospitality. Bora Bora is everyone’s idea of the quintessential Polynesian island with its tall spire mountain in the middle, a large protected lagoon all around it and many little islets or motus with perfect sand beaches and great snorkeling. Bora Bora is a tourist island and can be overrun with visitors. But, it is still lovely and lots of fun. A day-sail west of Bora Bora is the island of Maupiti, which resembles Bora Bora but is unspoiled by the tourist trade. The island is an all-natural Polynesian island that will take you back in time to the age before 747s. The weather has to be calm for a visit to Maupiti since a strong southerly swell can make the pass into the lagoon untenable. But, if you can make it, a visit will be the highlight of any Polynesian charter. The best time to charter in French Polynesia is in June and early July when the villages all throughout the country are preparing for the annual festival called Hieva, which culminates on July 14. It is full-on party time and the locals make it really fun for visitors. The Vava’u Group of islands in northern Tonga is the charter destination in this remote but beautiful island kingdom. A collection of hundreds of small islands all crammed into a region that is 20 miles by 20 miles, the group offers many anchorages, villages to visit, great beaches, caves to explore and amazingly settled weather. The Vava’u group has not been developed for the tourist trade. There are hotels but the travelers who find the islands tend to be adventurers, scuba divers, back packers and charter groups. The locals are rustic and fairly poor, although year by year their economy gets stronger. The locals welcome sailors and often a village or a large family will offer, for a fee, to put on a traditional Tongan feast with roast pork, vegetabes and music. For an off-the-beaten-track charter, Tonga offers a real adventure. These two countries are truly home to some of the world’s best sailors and to some of the best cruising grounds in which to charter. 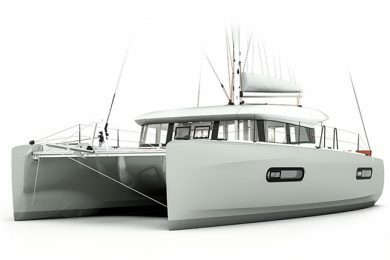 Both are safe to cruise in the southern summer (hurricane season) so they make great winter escapes for sailors from the Northern Hemisphere. New Zealand’s Hauraki Gulf is a huge and lovely place to sail with many anchorages, islands to explore and towns to visit. 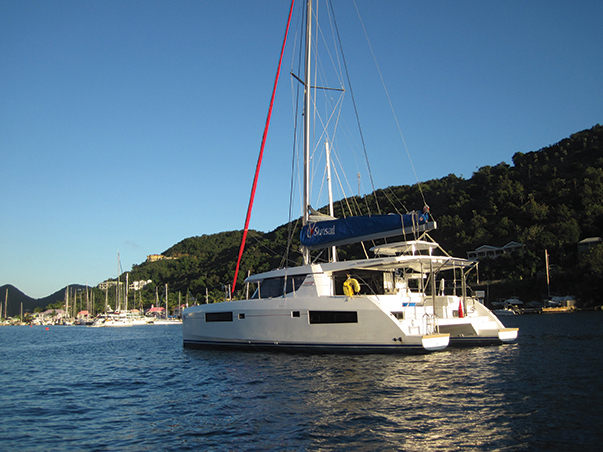 You can sail out of Auckland, the main city, or from charter bases in the Bay of Islands 100 miles to the north. You can spend a week in the Bay of Islands alone but then you would miss out on Great Barrier Island, the Coromandel Peninsula and islands like Waiheki where rustic life meets the prosperous set from the big city. A charter in New Zealand should also be matched by a week of exploring the amazingly beautiful South Island. Across the Tasman Sea, the huge island nation of Australia has one favorite charter region that is known worldwide. The Whitsunday Islands are home to several charter bases and the region offers sailors a combination of amazing white beaches, snug anchorages, great reef diving and plenty of fun ashore at the resorts and beach bars. 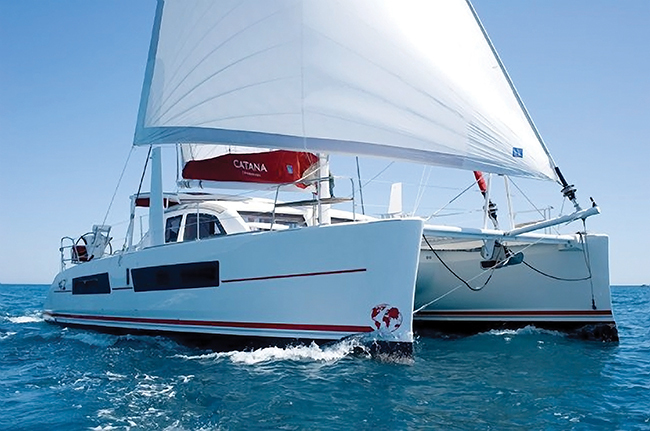 The Aussies know a thing or two about having a good time, and sailing in the Whitsundays is certainly one of them. Like a visit to New Zealand, it makes a lot of sense to combine a land cruise with sailing vacation. Or, perhaps book a week of scuba diving on the Great Barrier Reef. For North Americans, there is no more remote a charter area than the Seychelles in the middle of the Indian Ocean. This disparate group of rocky islands with vast coral formations and amazing white sand beaches is one of the most exotic places to sail in the world. 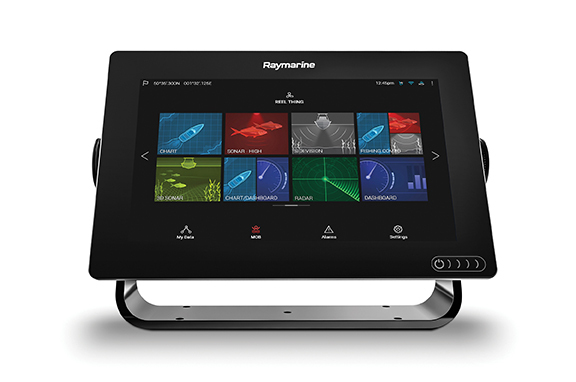 Yet, it is today one of the most popular charter areas as well, particularly for Europeans. Just getting to the Seychelles is an adventure in traveling which for North Americans involves flying halfway around the world. But, once you get there, you will know that the effort was worthwhile because you are in a place like no other. The sailing is mild, the sun reliable and scenery second to none. The islands are off the east coast of Africa so if you have in mind a trek up Mt. Kilimanjaro or a safari on the Serengeti, then a charter in the Seychelles can be one exotic part of the vacation. For a mixture of ancient cultures, great food, wonderful wine and beauty, cruising the Mediterranean Sea has no equal. 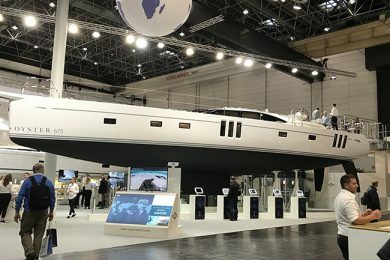 There are three basic regions to charter and explore: the Aegean Sea, the Adriatic and Ionian Seas and the west coast of Italy, Corsica and Sardinia and the Balearic Islands of Spain. 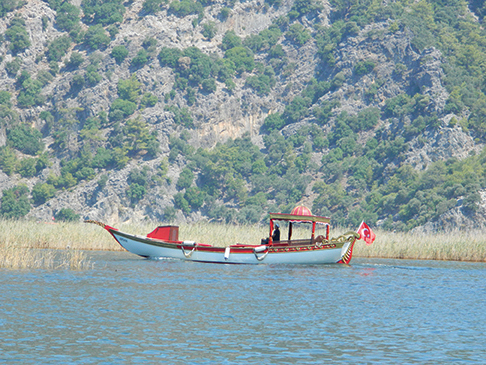 The Aegean is home to most of the famous Greek Islands and the west coast and Turquiose Coast of Turkey. Combined, there are thousands of islands, harbors, villages and towns to explore, thousands of beach bars in which to sip retsina or ouzo, thousands of beaches to stroll and amcient ruins to wander through. In summer, the Aegean is a hot and stark region with blazing whitewashed buildings, many with blue roofs, and sparkling seascapes that are often torn up by the strong winds of the Meltemi. 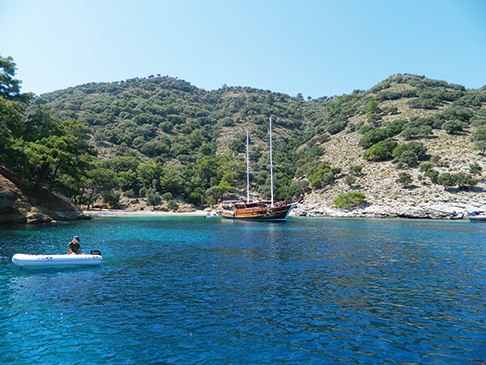 The best times to charter in the Aegean will be in spring and fall. The crowds are less, the Meltemi blows less frequently and the days and evenings will be cooler while the water temperature remains warm enough for long swims. The Ionian and Adriatic Seas that lie between Greece and Italy and run up to Croatia and Venice, form one of the prime charter areas of the Med. Thousands of rocky islands, often caped with ancient castles, forts and towers, offer endless opportunities for quiet anchorages, secluded bays and fun hikes inland. Then, there are the amazing, ancient coastal towns, with their crenelated castle walls, winding streets, busy waterfronts and excellent seafood bistros. The western Med offers an amazing selection of places to charter from the Bay of Naples, Capri and the Amalfi Coast in Italy’s southern region, to Elba and Corsica to the north. There are small charter fleets all along the Italian west coast and in Bonifacio, Corsica. Sardinia to the south is an experience all on its own and you can spend as much time ashore as you do afloat when you charter there. 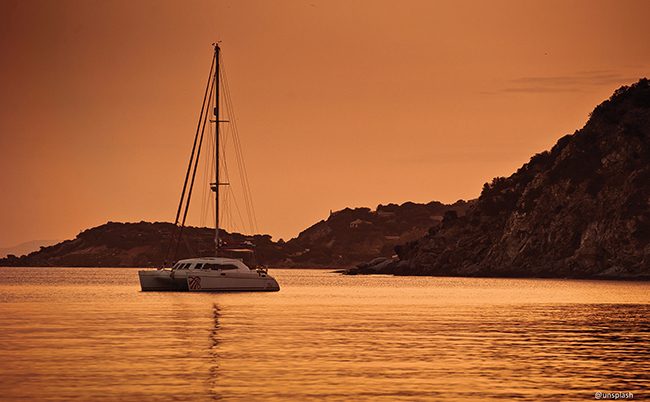 The most popular islands for chartering in the western Med are the Balearics off Spain’s east coast. The islands of Mallorca, Menorca and Ibiza are perfect for a mixture of fun sailing, interesting harbors, fun towns with vibrant night lives and great hiking and touring ashore. Strolling by the beautifully illuminated 13th century cathedral in Palma, Mallorca on a balmy summer night on the way back to the boat after a fine dinner ashore ranks as a memory not soon forgotten. You could spend a month exploring these islands and still not see all that you want to see.